Allsup? A Good Deal for Long-Term Disability Claimants? When you file a long-term disability insurance claim, the company will often require you also to file a social security disability claim, even if you do not have a disability that would entitle you to social security disability benefits. 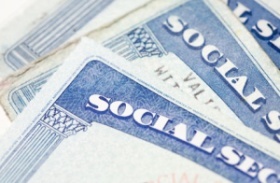 Often, you will be referred to an outside social security claim vendor, such as Allsup, for filing that claim. the disability company reviewed your file and has indicated that you may be eligible for Social Security disability benefits. Allsup is an expert vendor in the field of Social Security Disability Insurance representation. Allsup believes you may be eligible to receive a Social Security award and this award is very important financially for you and your family. Allsup is successful in 97 percent of the cases it handles. Allsup's service is designed to assist you from the comfort of your own home. The insurance company has agreed to pay all of our fees, and therefor Allsup's services are totally free for you. Find a good social security disability lawyer in your home town, one that you can meet face to face. The real reason the insurance company wants you to pursue social security benefits is because if you get them, it reduces what the disability insurance company owes you. Our experience is that no matter who you use the disability company will pay that attorney fee, by reducing the amount that you will owe the insurance company if you win Social Security Benefits. So they are all FREE. Here's when we recommend you use Allsup: when you have no chance of getting Social Security benefits. Many times you have a disability that qualifies you for benefits under your insurance policy but would not qualify you for benefits under Social Security law. The disability insurance company will still force you to apply to Social Security - a waste of your time and the government's resources! Since no private Social Security attorney would likely help you under those circumstances, use Allsup.